98 sumptuously appointed guest rooms designed to relax you in a natural environment. Upgraded room amenities, including products by Dermatologica. Daily VIP treat in room. Daily newspaper. Library lounge and card-game room, including PCs with internet access. Private entrance, lobby and reception for Spa club members. Rich breakfast buffet served until 12 noon each day. Healthy tea infusions served throughout the day (complimentary) and afternoon high-tea. Guests may avail themselves of all facilities offered by the Spa Club resort. Dedicated hours at our Oasis Spa exclusively for Spa club members. Complimentary access to Oasis Spa, including direct VIP access. Deluxe world-class Oasis spa decorated in authentic Moroccan style including: Personal sulfur baths, wet sauna and Finnish sauna. Heated indoor Dead Sea water pool and unheated outdoor swimming pool with panoramic view. Spacious Jacuzzi and outdoor relaxation patio. Advanced fitness center with the latest equipment. Professional staff of therapist for massage, facial and other treatments. VIP spa-suites with private Jacuzzi, lounge and two tables for couple massage. 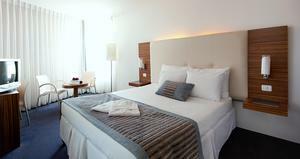 The hotel has 98 fully renovated and spoiling rooms, which are interiorly designed to the last detail. Rooms offer a magnificent view of the Dead Sea. The air-conditioned rooms are equipped with bathrooms with a bathtub en suite, cable television, radio, mini-bar and telephones with international dialing. "Free public and extra personal spa procedures + excellent restaurant made the stay at the bori..."